To create a bespoke website with great user experience, online booking form with payment options. We had the challenge to create a clean branding including the logo for the beauty clinic. Starting from logo we created a complete branding campaign for skin clinic. Logo should be clean and minimalistic, – same as web design. Check out final skin clinic logo we created. We implemented special complex treatments menu for this website. AS clinic has lots of special treatments we needed to find a way to improve the user experience. So we integrated special menu, which straight away shows all services and treatments offered by skin clinic. This menu works very well on mobile and tablet too. To ease and automate booking schedule we implemented special customers booking module. 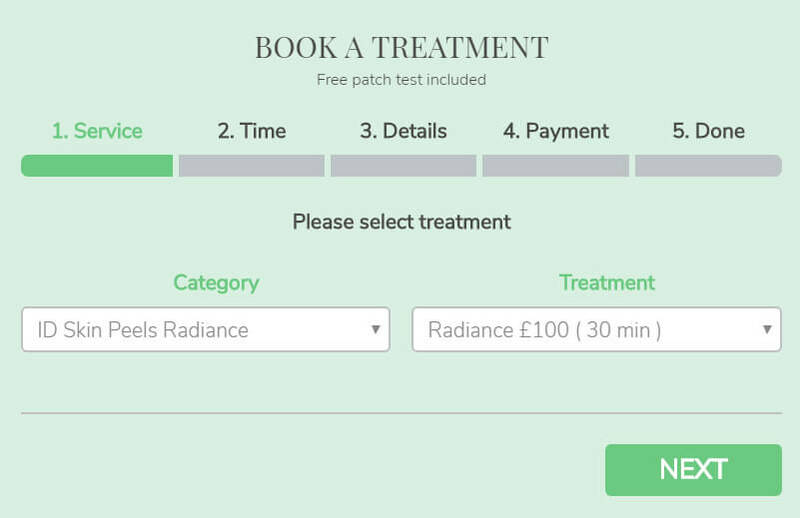 This module allows for customers to book treatments automatically. To prevent fake bookings system asks for a deposit for each treatment. This system does not allow double bookings. Skin clinic staff can see calendar and they will know when a customer will come and what treatment they will have. If client wants to book same time slot that already booked – system does not allow to do that. To increase trust for the website and company we have implemented google reviews module. These are real people reviews left by the skin clinic customers. One main advantage of this system that you can see star rating in google search results. This will greatly increase click through rate. 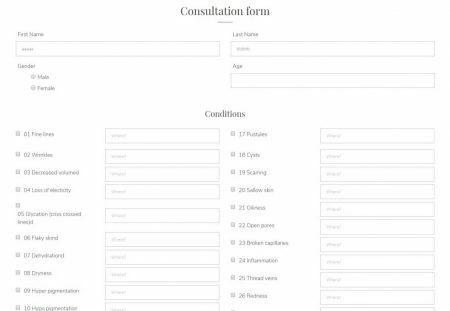 To let skin clinic staff to make their job and automate booking process, each customer who books treatments automatically receives login details and the link containing skin consultation form. Each customer has his own consultation form, which can be reviewed by a therapist. This system allows to automate whole booking and form filling process and allow therapists to do their job.